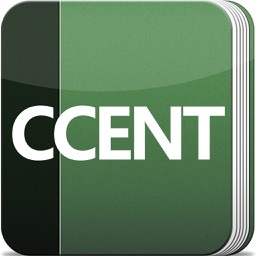 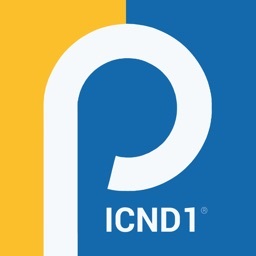 Cisco ICND1 Exam Practice by Pocket Prep, Inc. 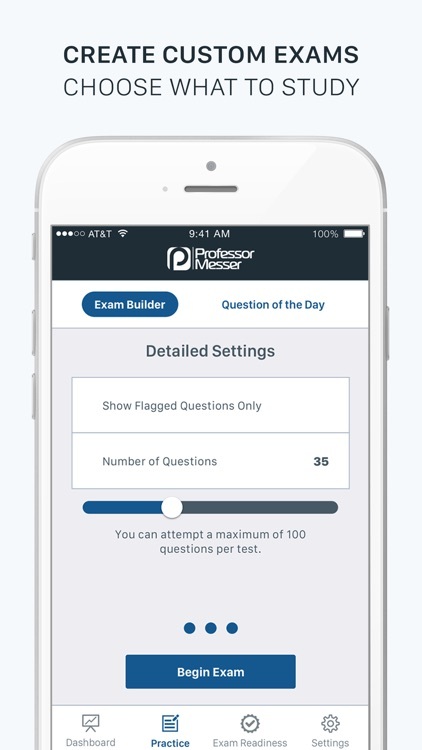 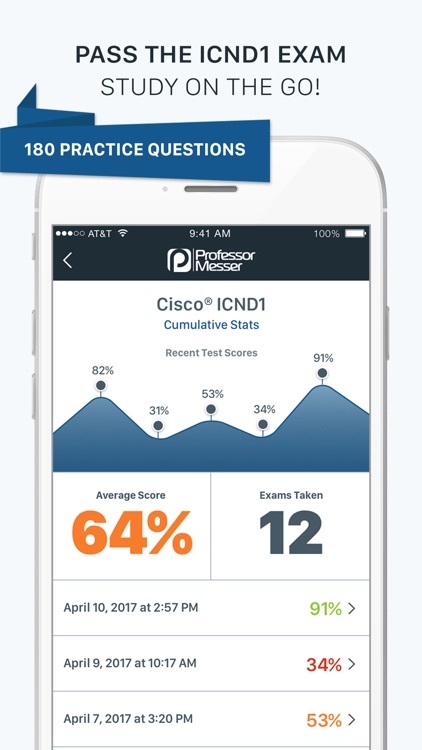 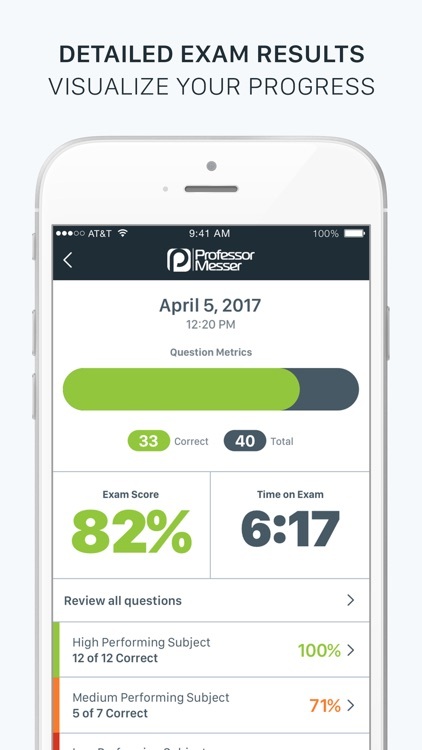 Professor Messer's powerful examination simulator allows you to create customized Cisco® ICND1 practice tests with detailed answer explanations for every question in just a few taps. 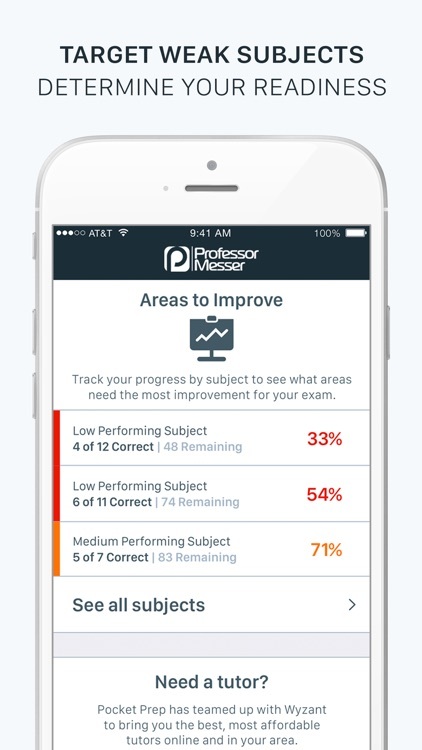 View your results and exam history; drill into your progress by subject and identify your weakest areas. 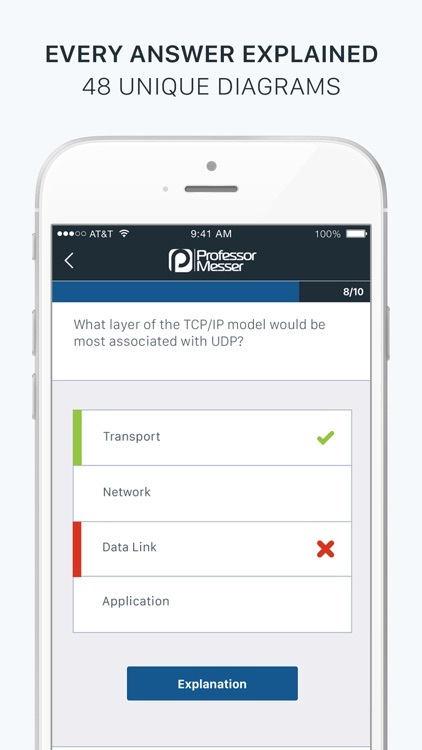 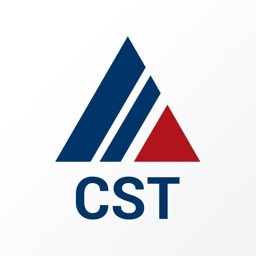 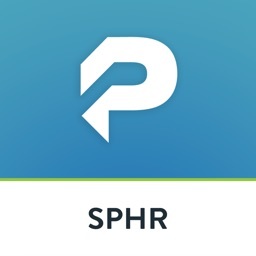 Study anywhere at any time without an Internet connection.